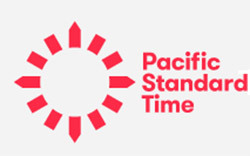 "Pacific Standard Time: LA/LA, Latin American and Latino Art in LA"
Pacific Standard Time: LA/LA officially closed on January 28, 2018, after the presentation throughout Southern California of hundreds of concurrent exhibitions, programs, and events about Latin American and Latino art. With the support of $16.3 million in grants from the Getty Foundation, and five years of research and planning, more than 70 cultural institutions ranging from small community-based centers to the region’s largest museums participated in this unprecedented, four-month-long exploration of the rich past and vital present of Latin American and Latino art. Now, audiences in cities across the US and around the world will have the opportunity to experience 18 of the critically acclaimed exhibitions presented as part of Pacific Standard Time: LA/LA. Cities where the traveling exhibitions will be shown include Albuquerque, Buenos Aires, Chicago, Houston, Lima, Madrid, Mexico City, Miami, New York, Phoenix, San Francisco, and São Paulo. Among the exhibitions that will tour are broad thematic and historical surveys such as Radical Women: Latin American Art, 1960-1985, organized by the Hammer Museum, traveling to the Brooklyn Museum in New York and Pinacoteca de São Paulo in Brazil; Golden Kingdoms: Luxury and Legacy in the Ancient Americas, organized by the J. Paul Getty Museum with the Metropolitan Museum of Art in New York, where it will travel in February; The Words of Others: León Ferrari and Rhetoric in Times of War, organized by REDCAD will be in exhibition at Pérez Art Museum, in Miami and Memories of Underdevelopment, co-organized by the Museum of Contemporary Art San Diego, Museo Jumex in Mexico City and Museo de Arte de Lima in Peru, the two venues where the exhibition will also travel.